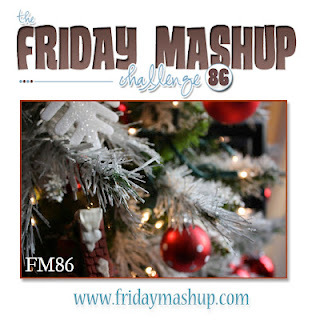 It's time for another Friday Mashup! How many US folks are still in a turkey coma?? ((raises hand)) I know I am stuffed! Such a great day, I am so lucky. I am also very thankful for all of YOU. All of the inspiration from my stamping friends just amazes me everyday and I am thankful that stamping and card making has enabled me to know so many great people. So thank you for stopping by my blog, leaving comments, chatting with me by email, etc! Ok, enough mushy stuff, back to the challenge :) This week Heidi is bringing it to us and it's a fun one! She wants us to create a Christmas card using a NON holiday stamp or image. That's right, gotta think out of the box on this one! You can also create a project that uses a messy technique like spritzing, smooching, shimmer paint, splattering with an aquapainter...anything like that. Of course you can mash it up and do both things on one project. I was going to use my Aviary set but I've used that as a Christmas card before so I really went out of the box and used the You're My Type set. I added some papers from the Festival of Prints paper pack and I ended up with a masculine looking Christmas card. I have to say, I really like how this came out! Unfortunately I was so busy concentrating on the non holiday image part that I forgot to mash it up...sorry Heidi! Make sure you head over to the Friday Mashup blog to see what the rest of the design team came up, there are some VERY creative cards!! Make a holiday project using "Non-Holiday Image(s)". Or Make a project with a "Messy Technique", such as spritzing, smooching, shimmer painting, or splattering with an aquapainter. Or "Mash it Up" and create a "Holiday Project from Non-Holiday Stamps and a Messy Technique". 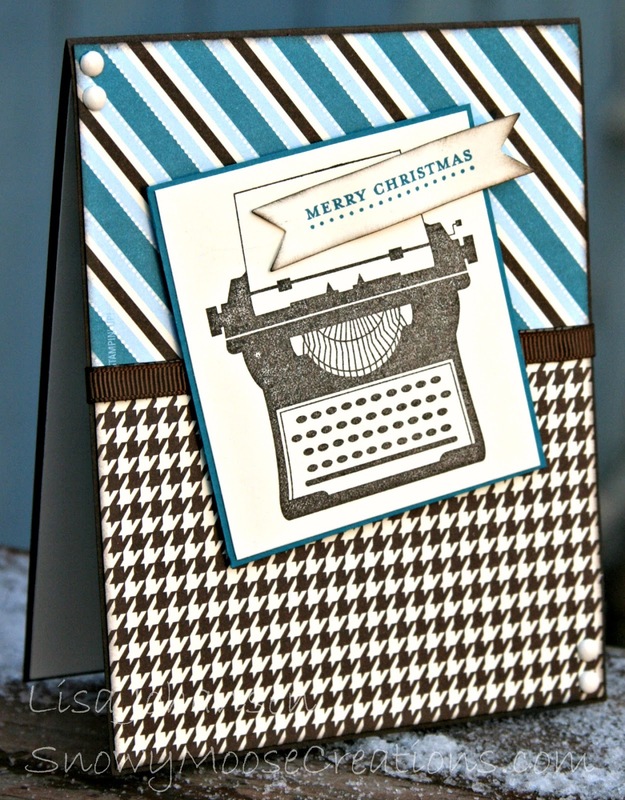 Great idea to use the typewriter image to 'send' Christmas greetings Lisa! This card is so fun! What a wonderful way to write a Christmas letter! I love the combination of patterns that you,be used here too!